In April 1814, following the Treaty of Fontainebleau, Napoleon was exiled to the Island of Elba off the coast of Tuscany, central Italy, where he spent nine months before escaping to return to France. During his exile he received sovereignty over the island and he was allowed to retain the title of emperor. 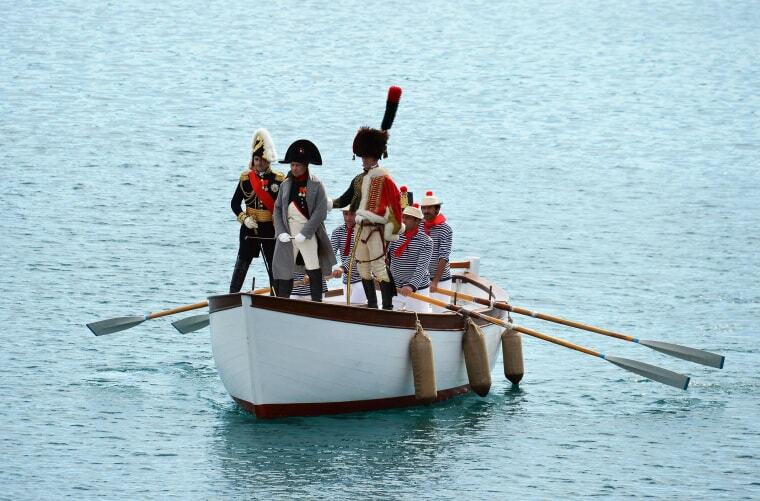 The Italian island marked the 200th anniversary of the emperor's arrival on Sunday with a re-enactment by enthusiasts from across Europe. "Napoleon" himself was to land on Elba on May 4, on a sail ship modeled on the one that carried the deposed French leader there.